How to make money with YouTube videos without even creating a channel. How can I earn money from YouTube ? 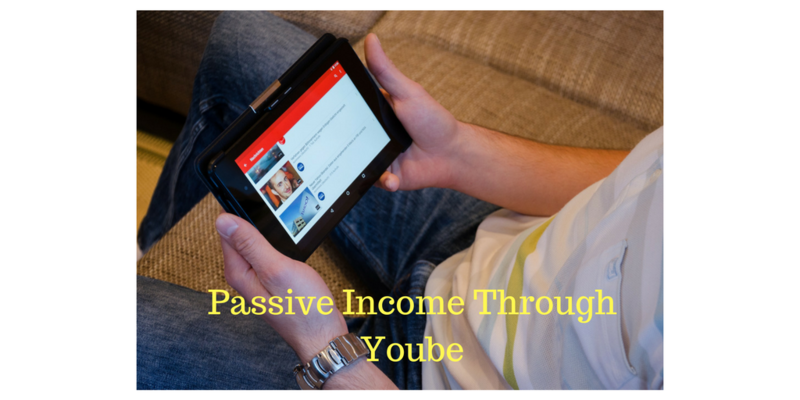 Do you know that YouTube has a huge potential of passive income ? In this article, we are going to let you know the how we can make a substantial income with YouTube videos. The top earner PewDiePie made $15 million in the year 2016. But here our target is not to become a top earner but to make maximum we can. 1. Create your own channel. First of all, we need to create our own channel and make sure it should be niche based. And there is no sense creating varieties of videos in a single channel. As it will confuse our audience and it will eventually lead to fewer subscribers. Give your channel an appropriate name which describes your channel’s goal and specification. The account can simply be created with any Gmail account. Make sure we have high-quality video along with relevant keywords. It helps our audience to find our videos on YouTube. The mistake in this area will lead our videos untraceable and our audience will never be able to reach our content. Now you all must be thinking how we can find relevant keywords. So there is a tool just put your primary keyword and you will find the list of related keywords with their volume and CPC. See the below screen shot at what level of details we can get from this tool. 4. Setup Adsense accounts with Google. Once your channel is approved and AdSense account is set up our next step is how to make money with Youtube videos. Making money with ad views is actually and a traditional way. Now you can increase your earning by sharing affiliate links. This method can increase you’re earning from 200% to 500%. Most of the YouTuber makes money only through Youtube ads but very few are aware that we can put affiliate links to increase our earning. E.g if we are earning a channel related to muscle building we can simply choose any good product from affiliate sites like Amazon and JVZOO. And put this affiliate link in the description. If anyone buys a product through your link you will get a commission. This will increase you’re earning almost 200% it’s a proven method. Try this technique with your channel and observe the results. In reality, YouTube never pays for views of your videos. Because they don’t make money with our views they earn through advertiser and that’s why they share the part of their earning. And this earning varies from country to country. With a same number of views, you can have different earning depending in which country the ad was viewed. How to make money with YouTube videos without creating and optimizing the channel. So far you have learned how to make money with YouTube videos with your own channel. But now we are going to let you know you can do this without even creating your own channel. Yes, you heard it right. You can make money with other YouTube channels. We tried this technique and it actually works. All you need to do is to find a good channel which has a significant number of subscribers and related to some good niche where we can promote our products. Select the YouTube channel and click on tab About. Please refer the screenshot. Once you get the email ID now you can send an email to the owner asking to put your affiliate link on their channel. And you can negotiate the commission distribution. Maybe you can pay monthly charges for putting this link. It’s completely up to you how you want to make the deal. But this way you can make money without even creating your own channel. Does it seem a difficult task? it is super easy. I think it is good for those who want immediate earnings. Because it takes the time to create a channel and then has a good number of subscribers. And at the end, you need 10,000 total views for the payment eligibility. Try this technique with 10 to 15 YouTube Channels and if you get a single approval you can easily make $300 to $1000 monthly depending on the type of products you are promoting. It will surely help me to grow my channel. Thanks for the feedback as it will help us to write better content. I always follow your blog for better tips and information. Amazing place for online knowledge.